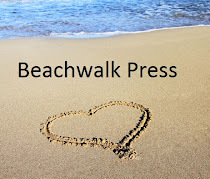 Need a free read today? ATTENTION READERS! A DATE WITH FATE HAS A NEW COVER! "Evanovich with lots more steam!" 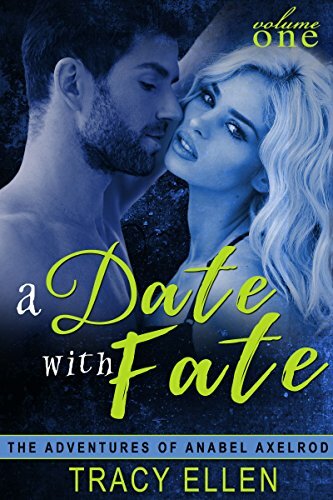 A Date with Fate is the roller coaster ride of a debut novel by Tracy Ellen, and the first volume in The Adventures of Anabel Axelrod ongoing series. Get your free copy today! Meet Anabel Axelrod...Witty, wicked, and all woman. Anabel owns a bookstore in the town she's lived in all her life. She is a girly-girl, a control enthusiast with rules about everything, and one determined woman. Determined not to fall in love and settle into a dull marriage with 2.5 kids. Meet Luke Drake...Brilliant, badass, and oh so built! Luke is new in town. He is all powerful man, control is his middle name, and he's coolly determined. Determined to win Anabel, whatever that takes. EYES CLASH, SPARKS FLY, and WORLDS COLLIDE when Anabel meets Luke, but that's the least of her problems. It seems many strange things are happening in the town of Northfield, Minnesota and Anabel is a magnet for trouble. From her family to her friends, the sassy, blonde bookseller's perfectly uncomplicated life is suddenly turned chaotically upside down with problems galore. Although, Anabel firmly believes her biggest problem is her appalling sexual attraction for the not-too-tall, deliciously dark, definitely not handsome, but intriguingly hot Luke Drake. She can't get him out of her head! But will Anabel learn before it's too late that some rules are meant to be broken to find happiness and a certain mesmerizing complication might be worth the trouble--even if it kills her? Or will she learn instead that sometimes fate takes away our choices? Don’t miss this exciting debut book introducing an ongoing series that is part steamy romance, part suspenseful mystery, and altogether wildly, belly-laughing fun! Enjoy the action, sexual fantasies, romance, witty banter, mystery, mayhem, friends, family, flashbacks, laughter, and an “OMG!” cliffhanger--all in one roller-coaster ride of a weekend! Get your FREE copy of A Date with Fate today! *The next 6 volumes in The Adventures of Anabel Axelrod series are available everywhere eBooks are sold! The Wedding Written in the Stars, 7.5, a novella, is coming soon! Thank you for reading my books. Let's stay in touch. You're cordially invited to my website to browse around and sign up for my newsletter. 1/31/17 Author's Note: The Adventures of Anabel Axelrod is an ongoing series of full-length novels written for the entertainment of adults. It's not the author's intent to offend, so PLEASE do not read these books if any of these events occurring in an ongoing series might trigger your offended button. Cliffhangers (by definition meaning not every plot line is finished in one volume, but may continue into the next book or even across the whole series), sexual fantasies and role-playing situations you may not personally approve of or wish to practice, an average steam factor of 3.5ish out of 5, with 0 being cozy and 5 being erotica, the real possibility there won't be a H-E-A at the end of each volume, mild to sometimes strong violence dependent upon the plot line, and swearing. Thank you and happy reading!